HALIFAX, NS – 2 Crows Brewing has announced details of the second in a series of limited edition barrel-aged sour ales. Brewed with Pilsner malt, wheat, spelt, and a touch of rye malt, and lightly hopped in the boil with Hallertau Blanc. Soured with a blend of lactobacillus cultures, and fermented with a blend of saccharomyces and brettanomyces yeast. After conditioning in stainless steel for several months, the beer was transferred to a freshly emptied Tequila barrel, where it was refermented with the addition of several litres of agave nectar. The beer was then allowed to condition on crushed black limes – also known as loomi, they are basically sun-dried limes that impart more of a smoky/earthy character than fresh limes – as well as some fresh lime zest. Finally, the beer was packaged with champagne yeast to allow for a bright, tight carbonation in bottle. 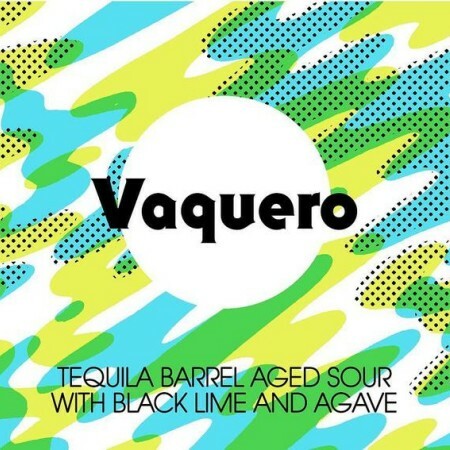 Vaquero will be released at 2 Crows on Saturday July 21st in a limited run of bottles featuring labels designed and printed by Midnight Oil Print & Design House using a vintage 1950s printing press.